Alien Swarm is a free to play game, published and developed by Valve using the Source engine, downloaded and played via the Steam client. The game is a top down shooter that provides 4-player online co-op or single player (If you're good enough!) So before you even start playing this fantastic free game, find some friends to play with you, because the 4-player co-op is easier and you'll all enjoy it more! As I said, it is a top down shooter and straight away this may put people off playing it. However, try and fight past those horrible Black Ops 1 mini game memories and give this game a try because it can potentially house hours upon hours of fun. The first thing most people think of when they are thinking of playing a game is "Will it be fun?" Well in short, yes it will be fun. The campaign "Jacobs Rest" takes place on a planet that has been colonized by aliens in the year 2052. Your job is to search for survivors and take out any aliens or alien like oddities you may find along the way. Another way to look at it is that it's your job to kill everything and get the hell to the safe area! 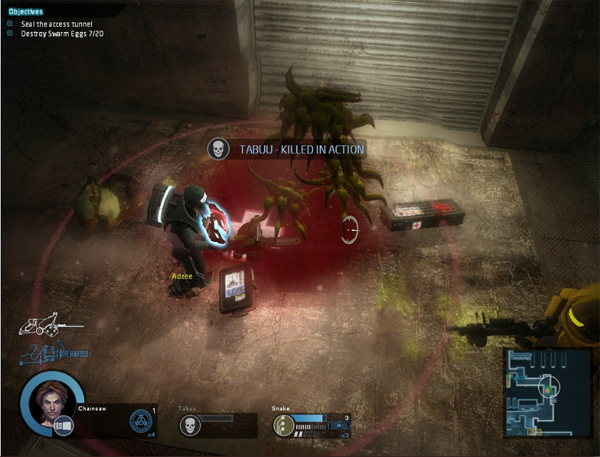 While playing through each mission you are given various tasks, most involve killing aliens or alien eggs. Sometimes you must use a specific weapon to do so but ultimately all you need to do is kill everything and move! If that doesn't sound fun as is, you can look forward to the fact that you'll be doing it while getting swarmed by massive amounts of aliens, some of which are quite difficult to kill, but it's okay because you'll have your 3 buddies watching your back! Just don't kill them since friendly fire is always on! 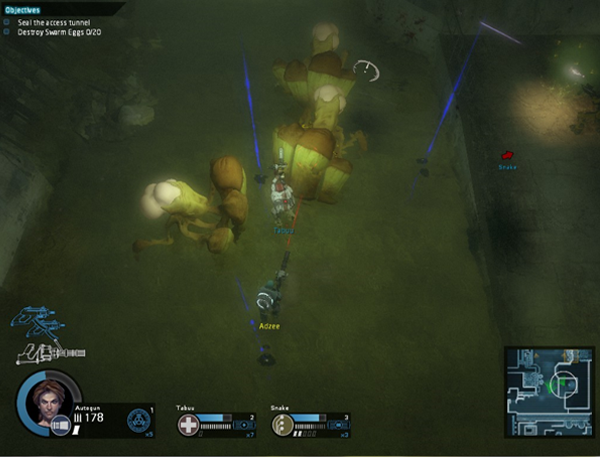 Co-op is highly recommended, as the game can be very difficult on your own. 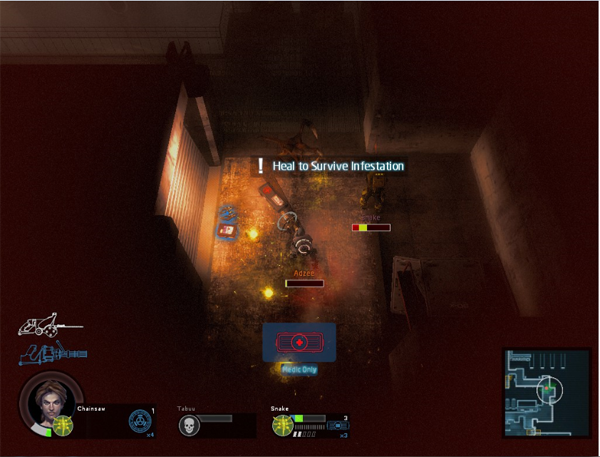 In some unique cases you are required to play co-op as, for example, you need to be a tech to open doors and only the medic is allowed to supply med kits. So it's highly suggested that you get yourself a team to play with and make sure everyone knows what they're doing. 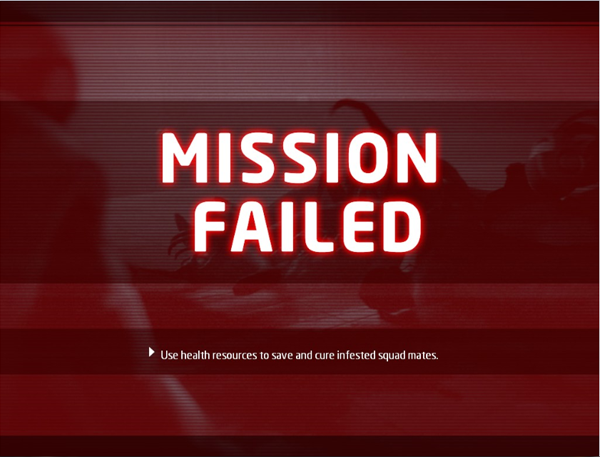 One of the main enemies which you face are the parasites or "face huggers" ("Alien" and "Half-Life" reference) which, when infected by, require you to have your health healed by a medic within a few seconds or you will die. This becomes pretty annoying but a long as you have a solid medic on your team these little pests will cease to challenge you eventually. Graphics and controls are what you'd expect from a free game - average. Having said that, you will want to change your in game resolution before playing as the game is preset to the lowest settings possible. Other than that the graphics are nothing special - but not bad by any means. Controls are very straightforward and of course you can bind your keys to whatever you should you need to. Basically, you use the mouse to turn and aim and you use "WASD" to move around, you also have an alt. fire which is bound to the mouse wheel and an equipment slot bound to the "1" key. Be very careful though, because friendly fire will always be on and if you aren't being very careful you may end up killing your teammates! While playing the game with a group of friends I had a lot of fun, even when we would die over and over it was fun retrying and we had a very good laugh when someone would get overwhelmed by aliens. I personally think that everyone should have a go of this game; especially since the PC requirements are very, very low so that shouldn't be an issue. What's more, the game's free, so you have no excuse not to play it! Give it a go; I think you'll be very pleased with how it turns out for you. Note: Be prepared to see this screen many times!